Four Great Lesson Plan Ideas You can Steal Today! Educators, are you dreading the next lesson you have to teach? Are you in a teaching and planning rut, unable to think of fun and creative ideas? Fear not. We’ve assembled four fun, creative — and easy — lesson plans you can snag for your classroom today. All make great use of the interactive whiteboard and require only a minimal amount of planning on your part. Alright, this one does require a little bit of planning, but you probably already have a list of review facts lying around somewhere…maybe it’s the periodic table, the multiplication table, or characters in Anna Karenina. Content doesn’t matter. 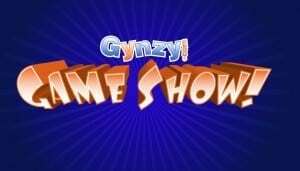 You can find a Jeopardy game template for the interactive whiteboard through a web search, or at Gynzy.com. For the younger crowd, Jeopardy can be a little too sophisticated a skill set to master. For educational topics that require matching skills rather than memorization, consider putting a bingo card up on your interactive white board and playing communal bingo. It’s a game that can easily be used for spelling practice, number and amount practice and uppercase-lowercase letter matching practice. Even older kids can get in on the fun with foreign language matching practice. This one is great for reviewing historical figures, and can even be extended to places and ideas — the game then becomes “What Am I?” Students get a sticky note with the name of a person, place or idea on it. They put the sticky note on their forehead, so that they can’t see it but everyone else can easily read it. They can then ask their classmates only yes or no questions to try and figure out who or what they are. Time it with the timer on the interactive whiteboard, and keep track of the student who figures it out the fastest. Outside of history, it’s a good game to review science concepts and important scientists. Try it with the parts of the cell. A great way to practice writing is to have students write their autobiography and then practice revising and publishing it onto the classroom interactive white board. Attach student’s school pictures to the project to make it even more exciting for students.